The average price of new apartments in the region of Murcia amounted to 1 206 euro per square meter in 2017, the second lowest for the community, only higher than in Extremadura (1148 euro) and lower than the national average, which was 2227 euro per square meter. So, at the national level, the average price of new apartments in 2017 amounted to EUR 2 227 per sq m, which is the largest increase since 2007. And prices in cities such as Barcelona and Madrid have approached the pre-crisis level. The report, carried out in around 400 municipalities, shows that Catalonia (3,452 euros per square meter) is the most affordable price community, followed by Madrid (3,167 euros) and Basque Country (2,596 euros). All three present the highest new levels of property prices. On the contrary, Extremadura (1148 euros), Murcia (1 206 euros) and La Rioja (1 355 euros) are the municipalities with the lowest new housing prices. As for the provincial capitals, it is run by Barcelona (EUR 3 3865), San Sebastián (EUR 3 441) and Madrid just behind (EUR 3 167), which continue to influence the price increase in the country. However, Badajoz (1 155 EUR), Cáceres (1138 EUR) and Ciudad Real (1 160 EUR) are still the capitals with the lowest prices. 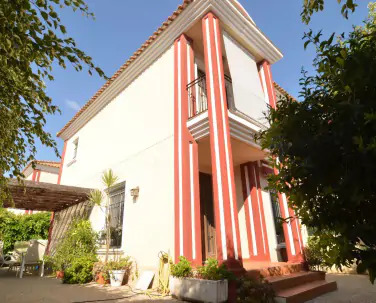 The statistics also show that in the second half of the year the average price of new housing in Spain increased by 3.3% in provincial capitals, reaching EUR 2,227 per square meter and doubling the increase in the first half of the year, which was 1.7%. The average price for a typical 90 square meter house in provincial capitals is 200,000 euros. In the other cities surveyed, which are not provincial capitals, the average price of a new home was EUR 1,580 per square meter, an increase of 1.6% compared to December 2016. Confidence in the evolution of the sector is falling in Catalonia. In autonomous municipalities, Madrid (61.9), Canarias (60.7) and Balearic Islands (59.7) have the highest confidence rates. For comparison, Castilla y León (52.6) and Castilla La Mancha (52.7) have the lowest values. Catalonia is the only autonomous community in which the confidence index drops significantly by almost two points, from 58.1 to 56.2 points in the fourth quarter of 2017. Probably due to the political uncertainty. This index is based on the opinions of over 700 specialists dealing with economic and real estate aspects in the areas where they conduct their professional activity. The average for the state is maintained for the fourth quarter in a row above the minimum level of wages for the acquisition of the average size of a house. However, some autonomous communities, such as the Balearic Islands, Madrid and Catalonia, still record insufficient levels for obtaining a home with 54, 94 and 91 availability indicators, which are far from 100 reference points. Average rentability of rent in Spain reaches 7.29% at the end of 2017, compared to 6.91% to previous year. According to the province of Valencia, Barcelona and Toledo have a gross return on rent of 7.5% of the maximum value of the national territory. In contrast, Orense with 4.8%, followed by Guipúzcoa with 4.9%, and Vizcaya and La Coruña, with 5.1% of gross income respectively, is a province that offers lower profitability in rent. Tax offices emphasize that the purchase option for rent remains a very attractive investment option, from Madrid, Malaga, Valencia and Alicante presenting the best results in terms of profitability of rental and real estate risk.